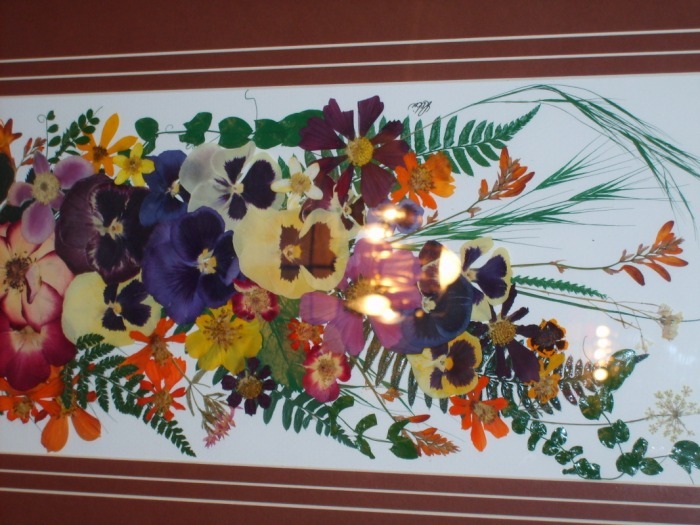 Right before our Keepers At Home club was planning to learn how to do some decoupage, our family happened to see these three beautiful pressed flower arrangements for sale in a restaurant! This inspired us to choose a decoupage project that included dried, pressed flowers. 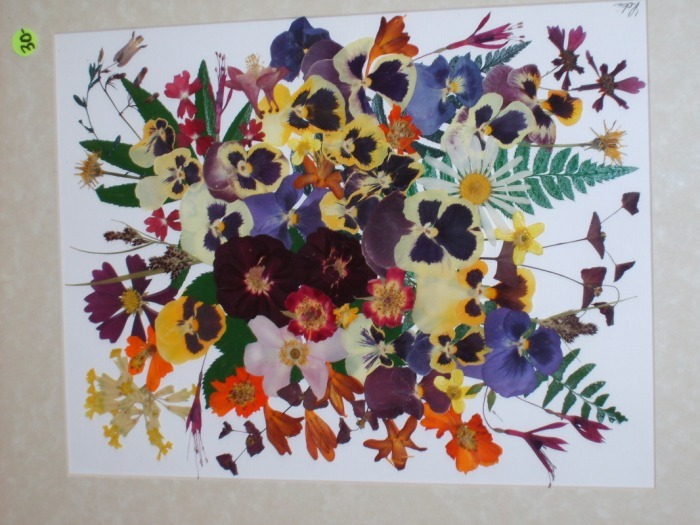 We had studied wildflowers earlier in the spring, as a KAH club, so we asked the girls to save their pressed wildflowers so we could use some of them to make decoupaged flower presses. 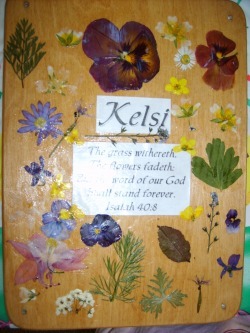 I was fortunate to find enough wooden flower press kits during our annual trip to the coast, when my mom and I were at a favorite craft store. The flower presses had been marked down to $3 each, and since I was buying all of them (ten or so), they gave me an additional discount. JOY! 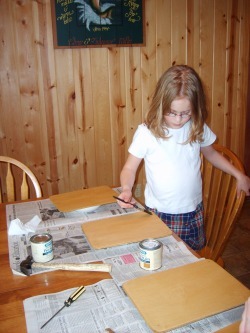 First, the girls sanded and stained their wooden flower presses. We asked the families to do this at home, ahead of time, so their presses would be ready to decoupage in our next club meeting. 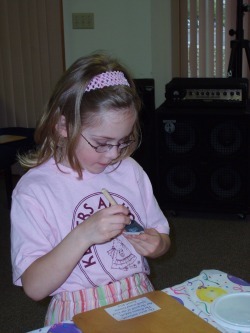 Then, at our Keepers At Home club meeting, the girls arranged the flowers, Scripture verses, and any other items they wanted on the top of their flower presses. Next, after they had designed their arrangement of pictures, pressed flowers, and items, they began painting the decoupage paint onto the back of these items and sticking them to their flower press tops. 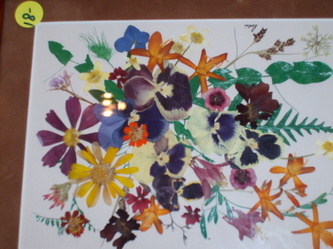 Then, it was time to do the several layers of decoupage. 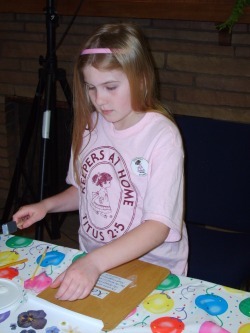 We poured it out onto plastic lids so each girl could have their own "paint" with which to work. 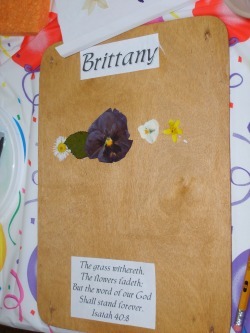 This is Brittany's project as she is adding on the elements she wants. 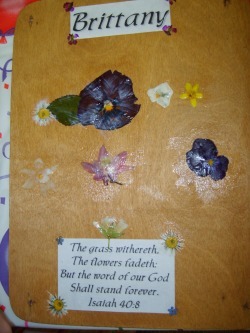 Here are their finished decoupaged wooden flower presses! 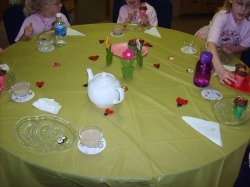 To finish off our lovely evening together, we kept our "flowers" theme alive during our snack time. It was my family's turn to bring snacks this evening, so we decorated the table to look like a flower garden! And as always, the host family decorated the table, provided the refreshments, and one of the girls in that family would be the "hostess" of the table, serving the other girls!